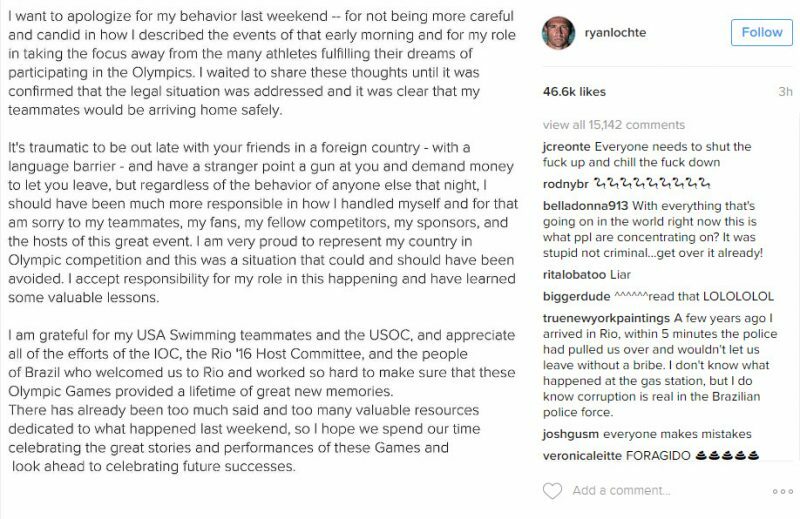 Ryan Lochte is already taking his crisis management person’s advice at trying to get ahead of the international mess he’s created by doing a public apology on his Instagram account. His full apology can be seen further down, and it’s obviously been written by a pro as these are not words you would normally hear from Lochte as how he described being robbed initially. While some people are defending Lochte’s actions as those of a stupid kid, they forget that he’s now 32-years old. The days of doing stupid things like this are long over, and he’s at the point of having to take consequences for his actions. While in another country he takes part in vandalizing a business and rather than man up, he (allegedly) makes false accusations. His fellow swim teammates testified on Friday laying the blame totally at Lochte’s feet. He wasn’t there to defend himself, but by fleeing Brazil to the United States doesn’t look good for him. It looks like the actions of a guilty person hoping to let his fellow teammates take the fall. It will be interesting to see if the Olympic Committee takes his actions seriously and delivers serious consequences as he has put quite a black eye on the 2016 Rio Olympics along with their organization. Ryan Lochte, the 12-time Olympic medal winner who claimed to be robbed by men identifying themselves as police officers in Rio de Janeiro last weekend, issued an apology on Friday “for my behavior” in an episode that has cast a pall over the Games. The apology came as testimony emerged from other American swimmers challenging Mr. Lochte’s initial version of events. In sworn statements to investigators, the other swimmers described Mr. Lochte as drunk and unruly, saying he had damaged property at a gas station and later misrepresented what happened. The case has ignited a debate that goes well beyond sports, eliciting an apology from American Olympic officials and outrage from Brazilians who accuse Mr. Lochte of smearing Rio’s reputation as it held one of the most important international events in Brazil’s history. In his original account, Mr. Lochte, 32, said that he and three other American swimmers had been pulled over by armed men calling themselves police officers, one of whom put a gun against his head before taking the cash from his wallet. 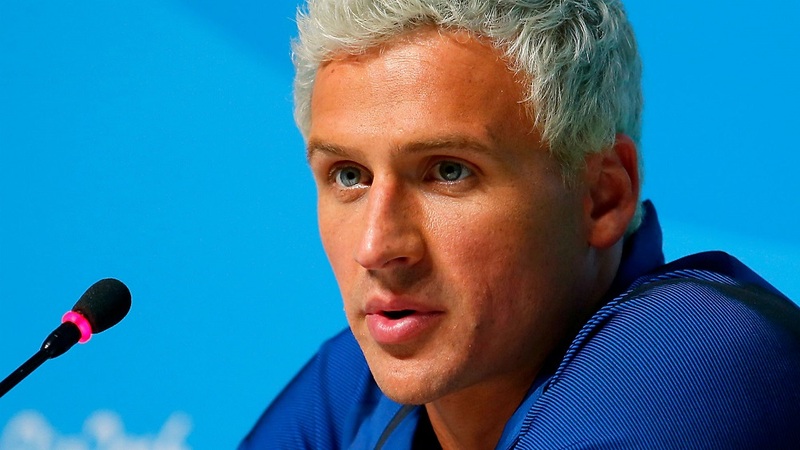 But police investigators said on Thursday that Mr. Lochte had fabricated central elements of the encounter, saying that the swimmers had vandalized a gas station bathroom after leaving a lavish party and were confronted over the damages by security guards. At least one of the guards brandished his gun in their direction, the police said. “I want to apologize for my behavior last weekend — for not being more careful and candid in how I described the events of that early morning,” Mr. Lochte said in a statement on Instagram. Mr. Lochte did not give a full account of what happened during the episode, or explain the ways in which his earlier depictions of events were inaccurate. But he insisted that a gun was pointed at him and that he was forced to hand over money. “It’s traumatic to be out late with your friends in a foreign country — with a language barrier — and have a stranger point a gun at you and demand money to let you leave,” he said in the statement. In sworn statements to Brazilian investigators, Mr. Lochte’s teammates said that he was drunk, disorderly, had damaged property and was in need of calming down as they discussed the situation with an armed security guard. Two of the swimmers — Gunnar Bentz, 20, and Jack Conger, 21 — described public urination, vandalism and other drunken antics by the swimmers, the police said. In his testimony, Mr. Bentz said that the situation spiraled out of control shortly after the swimmers left a party in a taxi early Sunday morning and stopped at a gas station to go to the bathroom. Once there, the men urinated around the bushes, and Mr. Lochte damaged a sign, according to a police description of Mr. Bentz’s account. The police said a bathroom door and a soap dispenser were also damaged. Fernando Deluz, a DJ who was passing by the gas station, said he translated for the swimmers, none of whom speak Portuguese, in an attempt to prevent the situation from escalating. “There was a moment when they tried to escape, and that’s when the security guards stopped them,” Mr. Deluz said in nationally televised comments. “At no moment did anyone brush up against them,” he added. And when employees of the gas station discussed calling the police, the swimmers pleaded with them not do so, Mr. Deluz added. “They were saying, ‘Please, please, no please,’” Mr. Deluz said, explaining that the swimmers began asking in English how much they needed to pay for the damages done to the gas station. The swimmers then handed over Brazilian and American currency totaling about $50 to Mr. Deluz, who said he gave the money to a security guard, who then passed it to a gas station employee. “Then I talked to them and said, ‘That’s O.K., bye-bye,’” Mr. Deluz said. The swimmers then went on their way to the athletes’ village, where they were captured on camera joking with one another and in possession of their phones and watches, items that are often taken from victims of armed assaults in Rio. Mr. Bentz said the swimmers tried to leave the station, having sensed that they could get into trouble after employees witnessed their behavior, the police said. But two men with guns — security guards at the gas station — approached the car, brandished their weapons and prevented them from leaving, Mr. Bentz said. 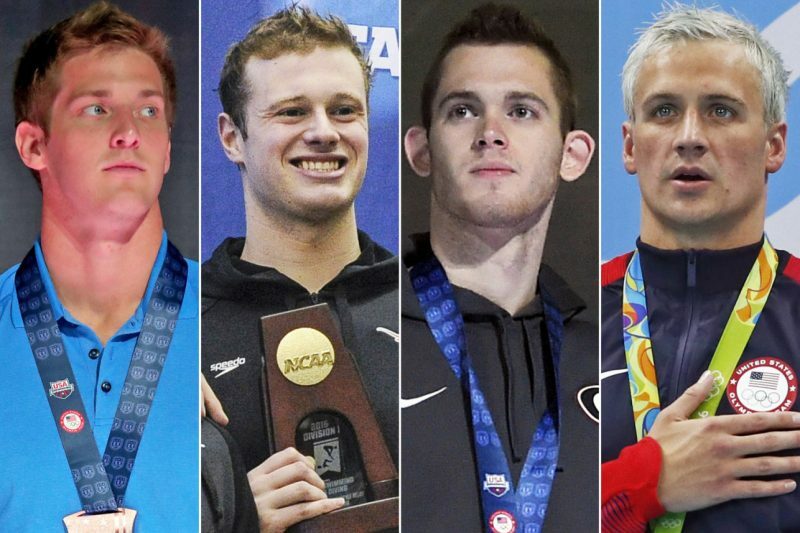 The group of swimmers, which also included Jimmy Feigen, 26, then got out of the car. But many Brazilians felt that the statement fell short. 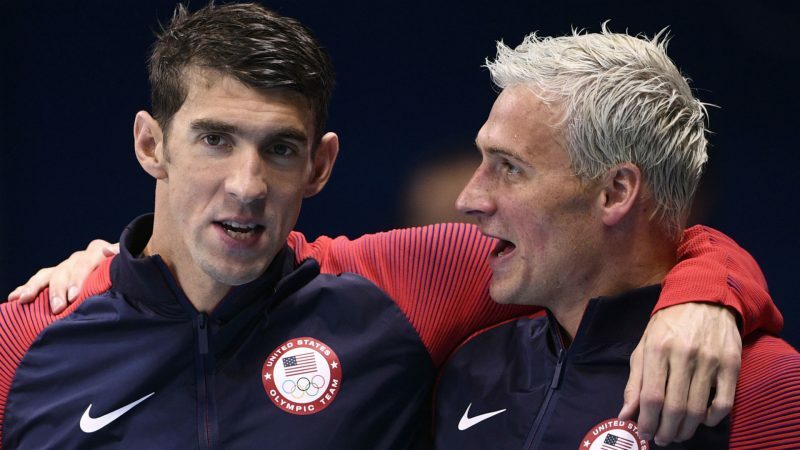 While he’s often medaled, Lochte’s accomplishments have long been overshadowed by teammate Michael Phelps – the most decorated Olympian in history. Lochte won a gold in Rio in a relay race alongside Phelps. While Lochte can be lauded as a superior athlete, these actions will be erased from people minds. He is now the young punk that was sent to Brazil to represent the United States and only perpetuated the ‘ugly American’ stereotype.